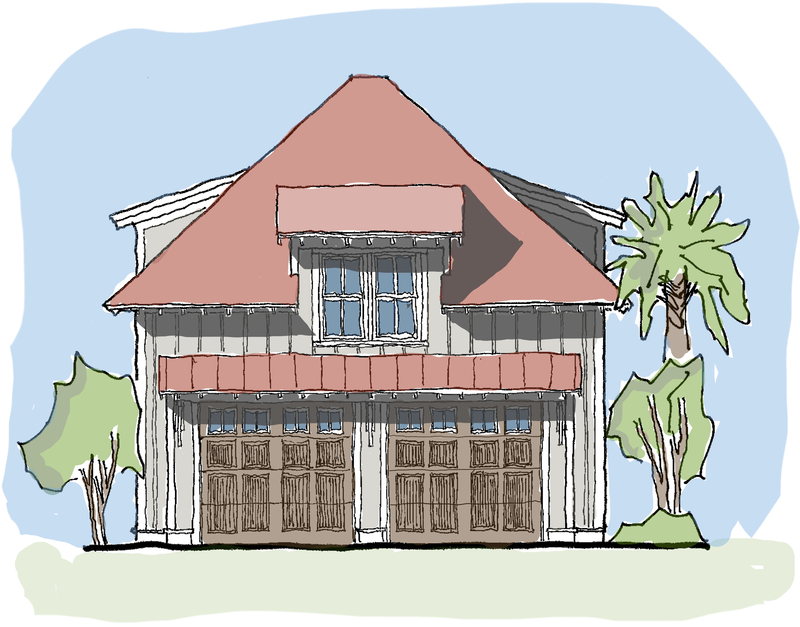 The Tidewater Reach Garage plan features space for three parked cars. 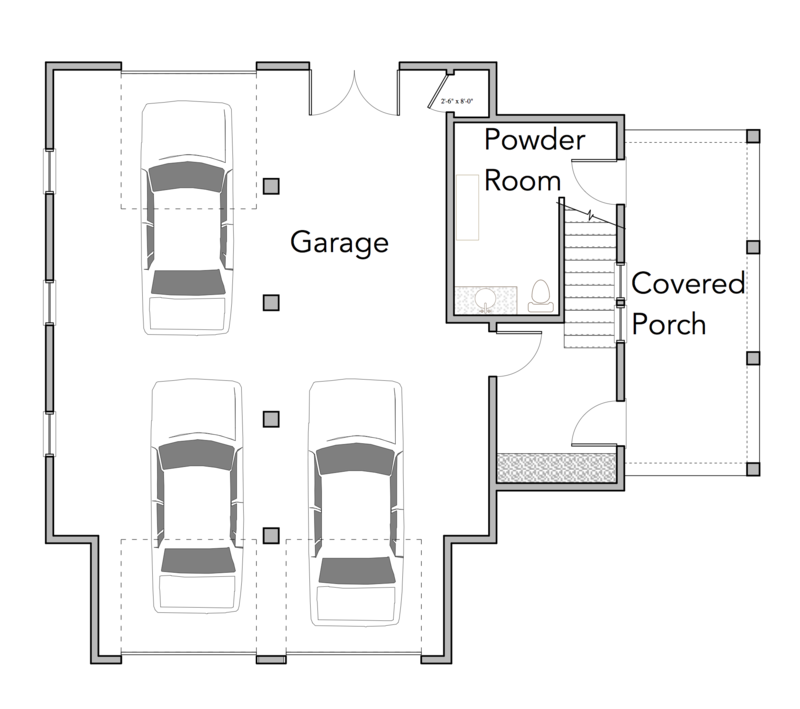 The first level also has a powder room and a covered porch. 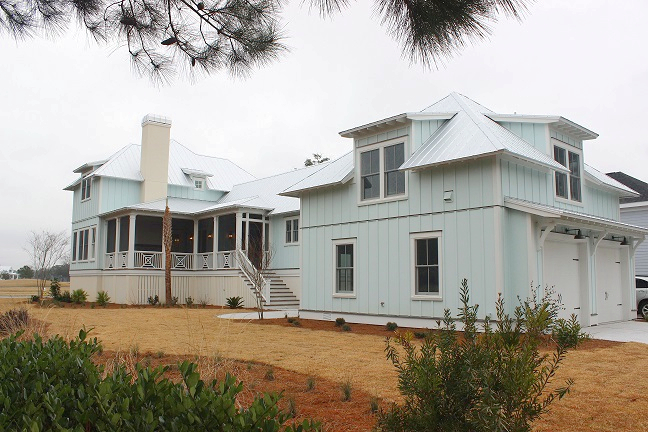 Upstairs there is an open living area with kitchenette, a guest bedroom and full bathroom. 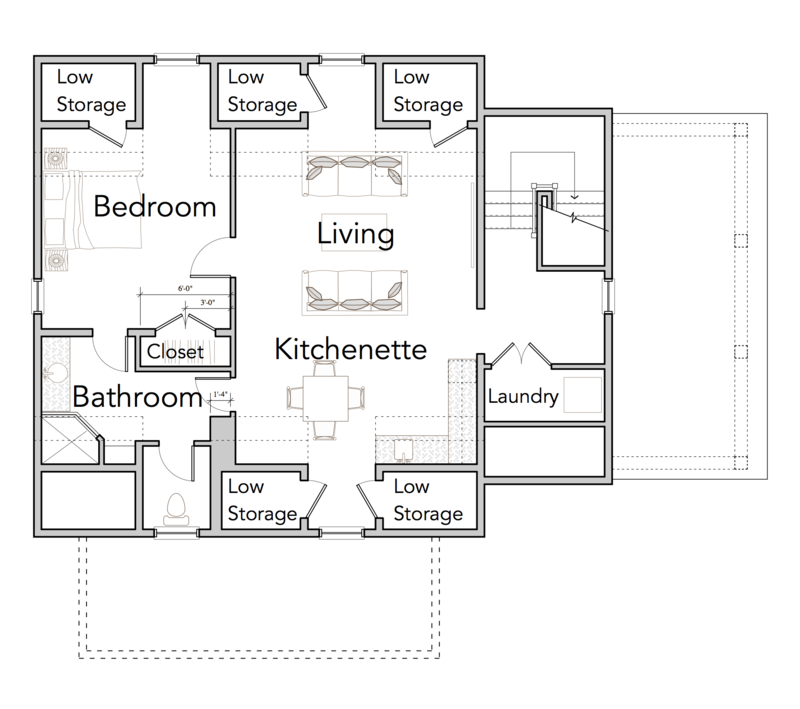 Also on this level is ample storage space and a laundry room at the top of the stairs. 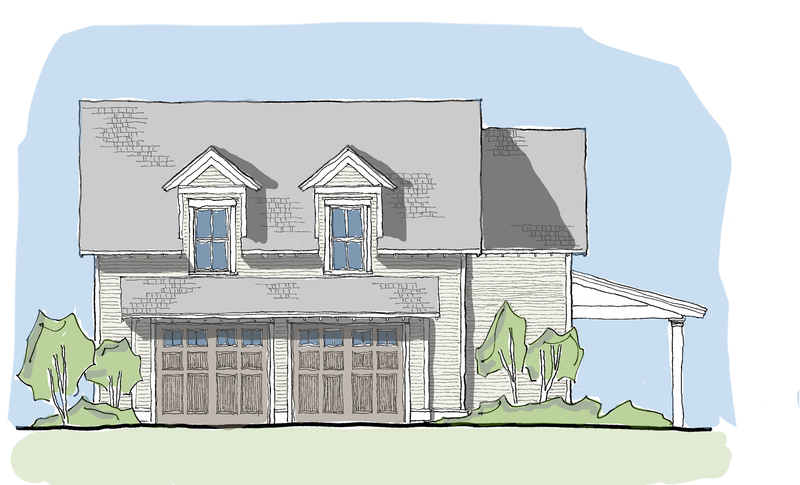 Width and depth dimensions do not include steps or overhangs. Height is approximate, and does not include chimneys. 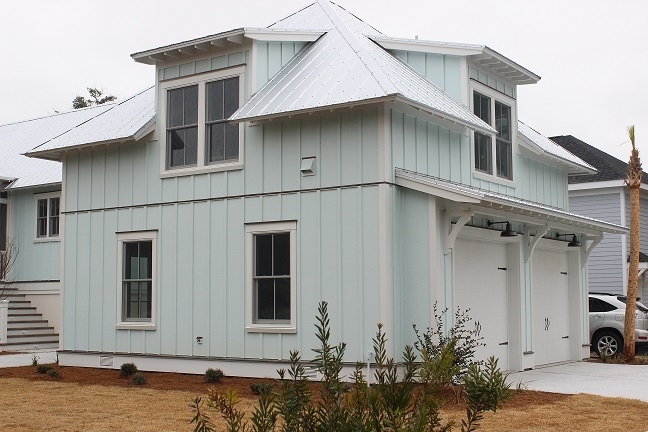 Purchaser to verify with local building codes and structural engineer to determine actual height. 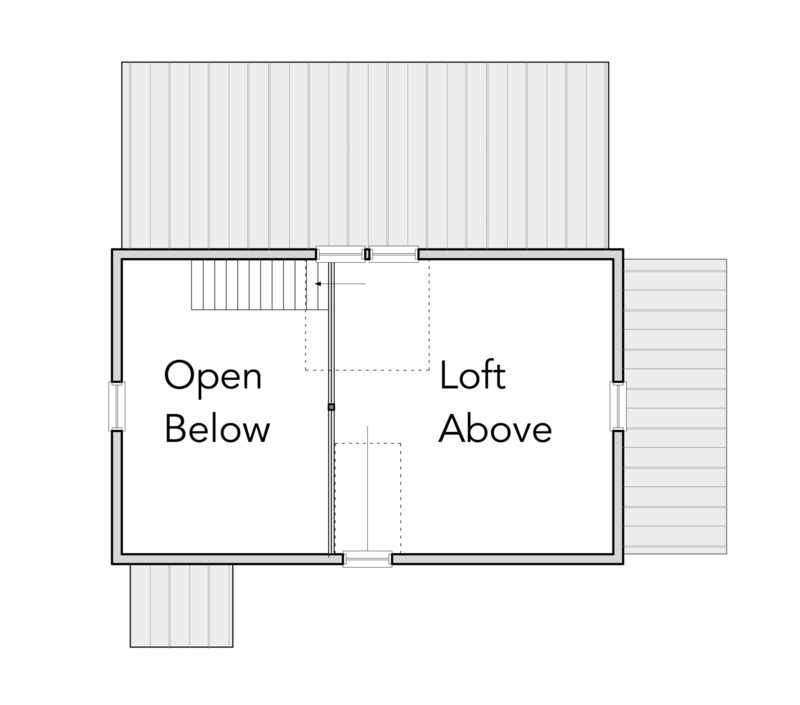 Some ceiling heights on 2nd floor may be sloped to follow roofline.The areas with sloped ceilings are indicated with dashed lines in the floor plans. 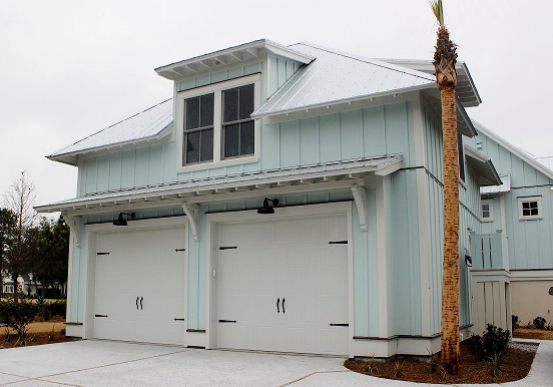 The Little Harbour Rest Garage plan is a large garage with ample storage. 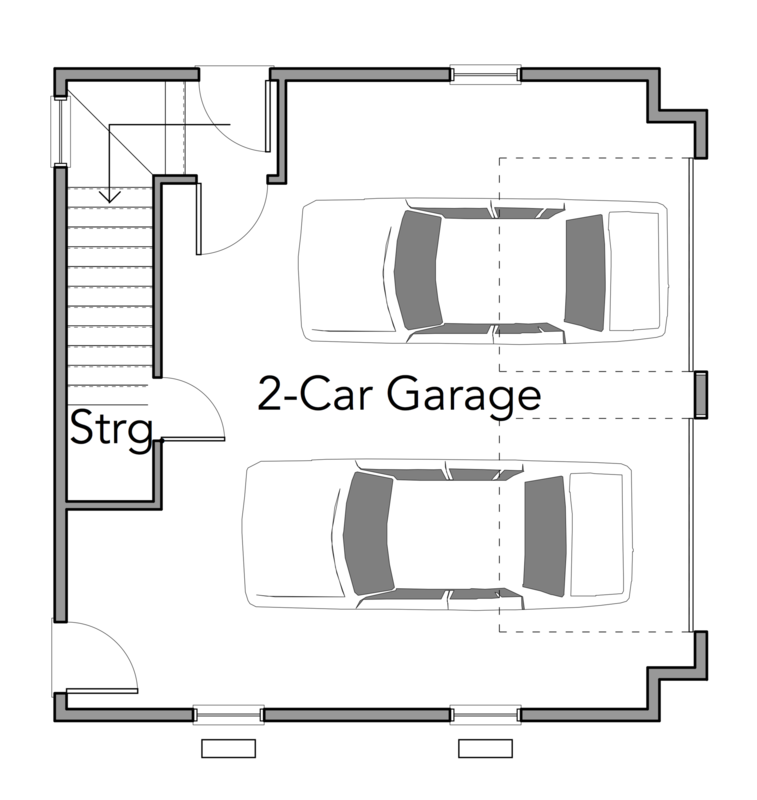 There is room for two cars in the parking bay, as well as a separate entry and space for a golf cart. 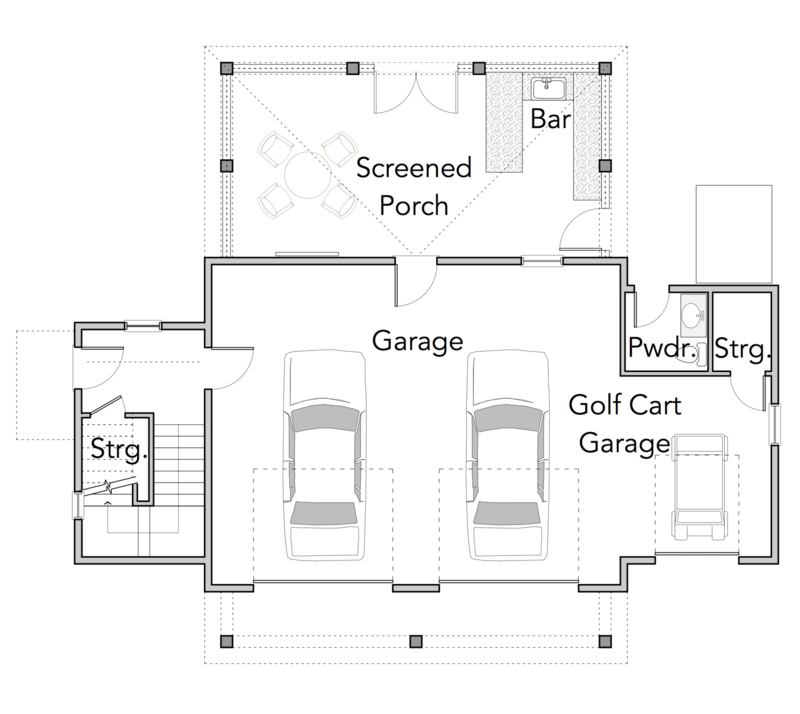 On the first level is also a powder room, storage and screened porch with a bar. 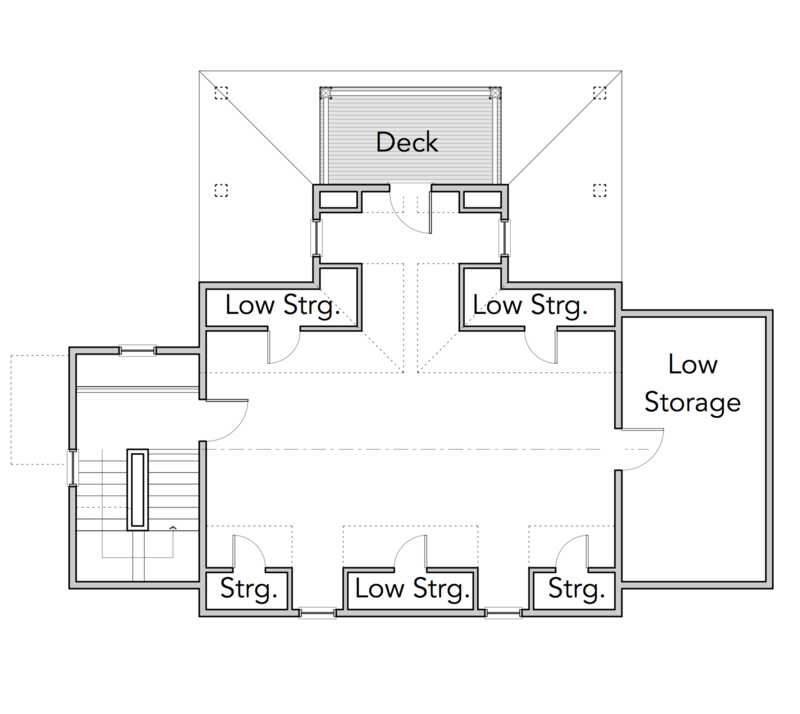 Upstairs there is generous room for storage and a back deck. 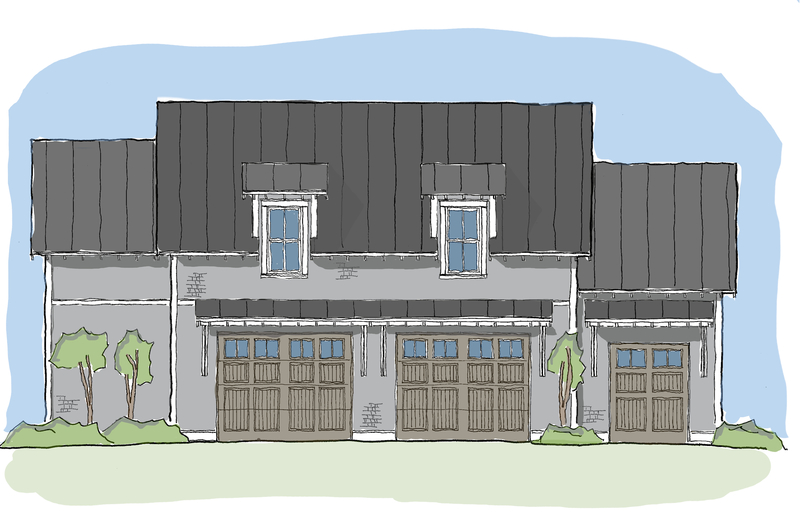 The Sparrow Garage plan is a great addition to any FFID house plan. 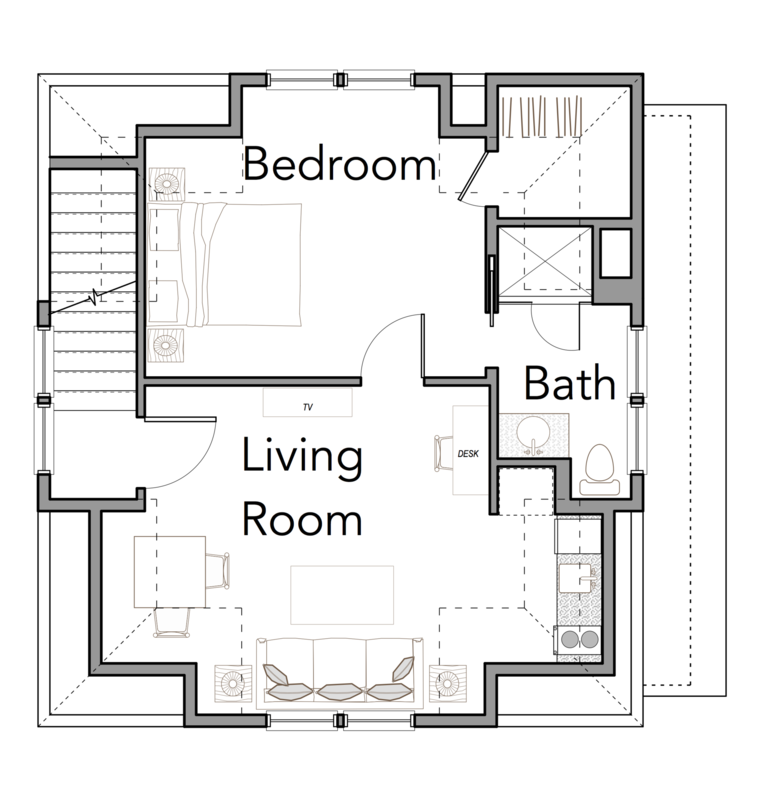 With space for two cars on the first level, and stairs leading up to a guest suite complete with a full bathroom and a living room on the second level, this space serves as a great, functional use of space. The Ibis Garage is a smaller space that houses one car. 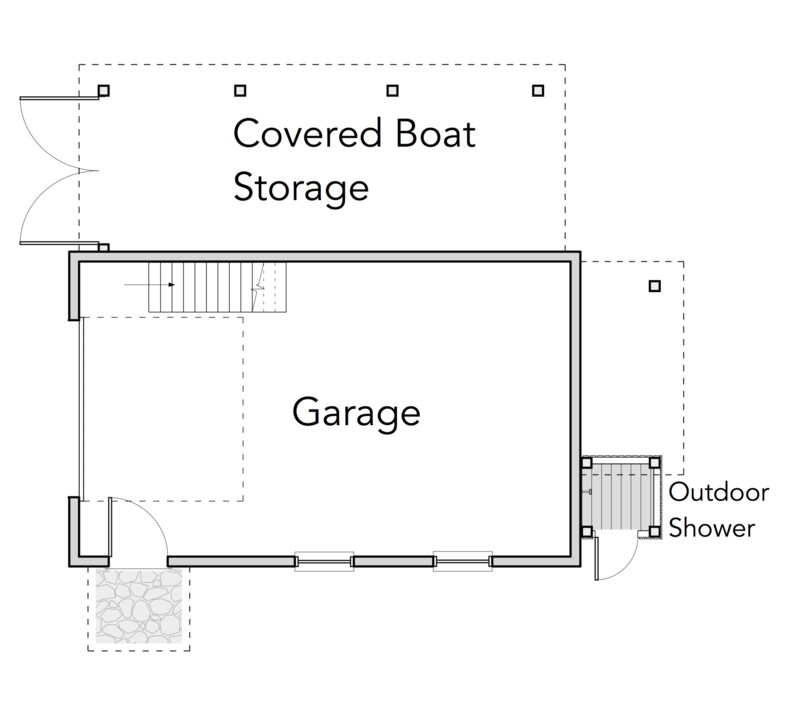 It also has a loft upstairs for additional storage. 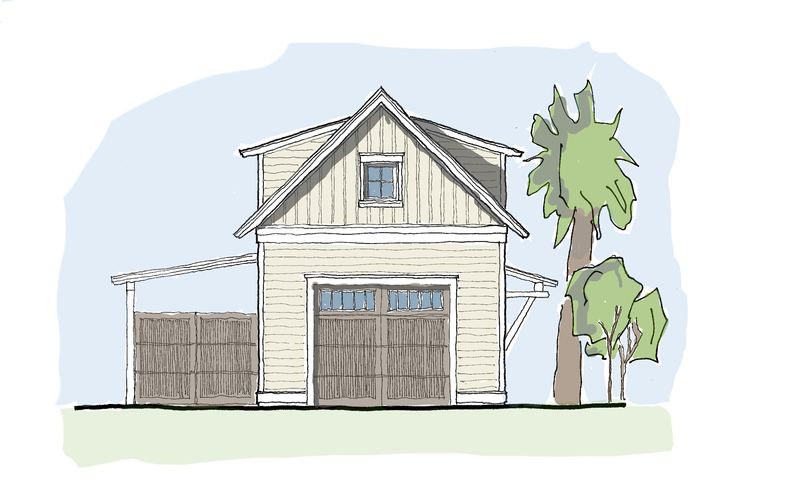 This garage features some unique accessories like covered boat storage and an outdoor shower, ideal for coastal areas.